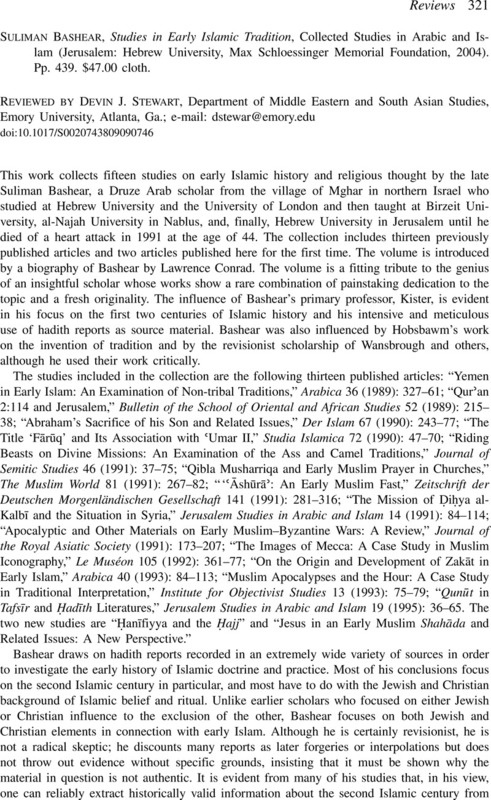 Suliman Bashear, Studies in Early Islamic Tradition, Collected Studies in Arabic and Islam (Jerusalem: Hebrew University, Max Schloessinger Memorial Foundation, 2004). Pp. 439. $47.00 cloth.